To read the press release issued by the Rochester, MN Convention & Visitors Bureau, click HERE. May 23, 2016 (Rochester, MN) – Olmsted County issued its first medical lodging licenses earlier this spring, marking a significant step forward in ensuring Rochester’s medical visitors are directed to safe, quality lodging. 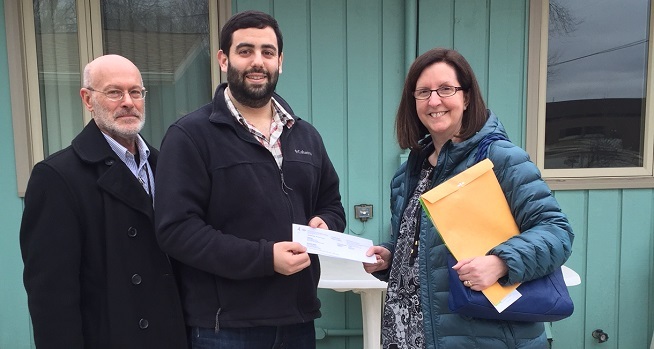 Rochester’s Serenity House Network has met construction, maintenance, and operations standards needed to be licensed as medical lodging establishments for 17 of its fully furnished apartments and houses that provide home-like accommodations for medical visitors. The network has additional license applications in the pipeline for other properties it operates. Prior to attaining the new form of lodging license, the network’s facilities were classified as rental units and were not subject to lodging-specific criteria including inspections and approvals from Olmsted County Public Health Services, the Rochester-Olmsted Planning Department, and the Rochester Fire Department. Jodie Hook, Serenity House Network’s president and former bone marrow transplant nurse, says her organization is delighted to be a pioneer in attaining medical lodging licensure and to have her facilities officially zoned as “medical stay dwelling units.” Hook worked with the Rochester Convention & Visitors Bureau, Senator Carla Nelson, Representative Nels Pierson, and County and City officials to enact a legislative change to the Minnesota lodging statute and local zoning requirements in 2015. This change expanded the definition of lodging establishments to include properties that are located within 10 miles of a hospital and provide lodging accommodations exclusively to patients, their families, and caregivers while the patient is receiving or waiting to receive health care. Brad Jones, executive director of the RCVB, believes that the medical lodging licenses currently being issued to Serenity House Network are only the beginning, and that other properties will follow suit. “This licensure is positive for both patients and lodging establishments. We encourage properties that cater exclusively to patients, their families, and caregivers to apply for this license,” Jones says. For more information on how to obtain a medical lodging license in Olmsted County, visit https://www.co.olmsted.mn.us/OCPHS/programs/businesses/Pages/Licensing.aspx or contact Olmsted County Public Health Services at 507-328-7500. The Rochester Convention & Visitors Bureau is the official marketing agency for the city of Rochester, responsible for destination sales and marketing efforts. The RCVB works to encourage conventions, meetings, sporting events and business travel to Rochester and provides travel-planning support for the patients of Mayo Clinic. The Convention & Visitors Bureau offers comprehensive information about lodging, dining, special events, activites and local attractions. For more information, www.VisitRochesterMN.com, @rahrahrochester on Twitter, VisitRochesterMN on Facebook.